CHALLENGE: A beautiful product deserves a great space to show it off. Custom Yamaha bikes were the focus of Gearshift Advertising when they took over Sandbox, an event and collaboration space in downtown San Diego. Gearshift Advertising brought their client, Yamaha Motors, to Sandbox for video interviews and product photoshoot. Sandbox’s raw warehouse space and barrel vaulted ceiling provided the perfect context to tell the story of theses custom motorcycles through the eyes of their makers. Finding the truth of a product is often in finding the right space. Gearshift knew its client and their audience well: the empty road, group of awesome friends and sunrise vista couldn’t possibly communicate the truth of these bikes. They needed to reflect the spaces these bikes are built in. 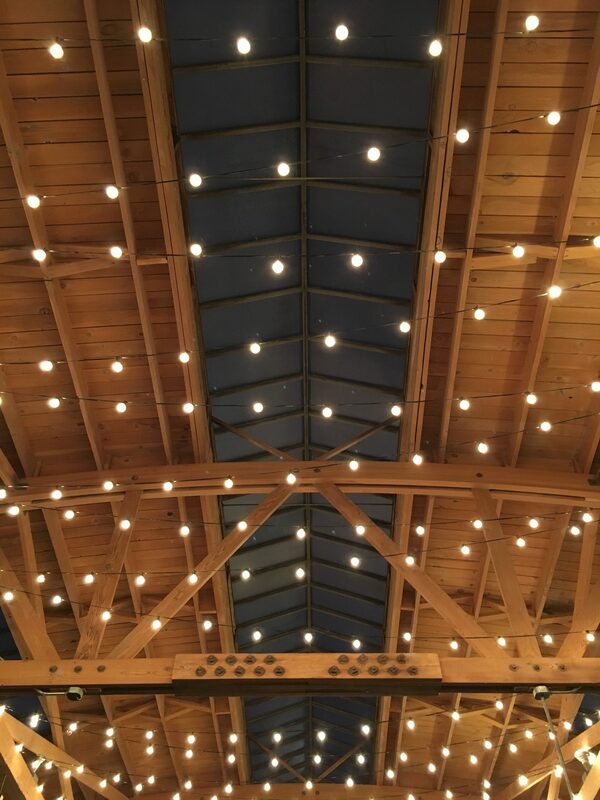 Sandbox isn’t a precious space that can’t take a little grease; its rich history is deeply felt in the brick and paint of this urban warehouse. This raw environment brought out the spirit of the Yamaha bikes and showcased their makers. At Sandbox we know space has the power to change perspectives, shape a story, or influence behavior. Our facility enables new conversations as no placid hotel conference room or white wall can. People yearn for character, light and fresh air in their venues. Without it, the conversations are stilted and no one stays for long. When Gearshift brought their full crew, truckloads of gear and 4 motorcycles we saw Sandbox shine. 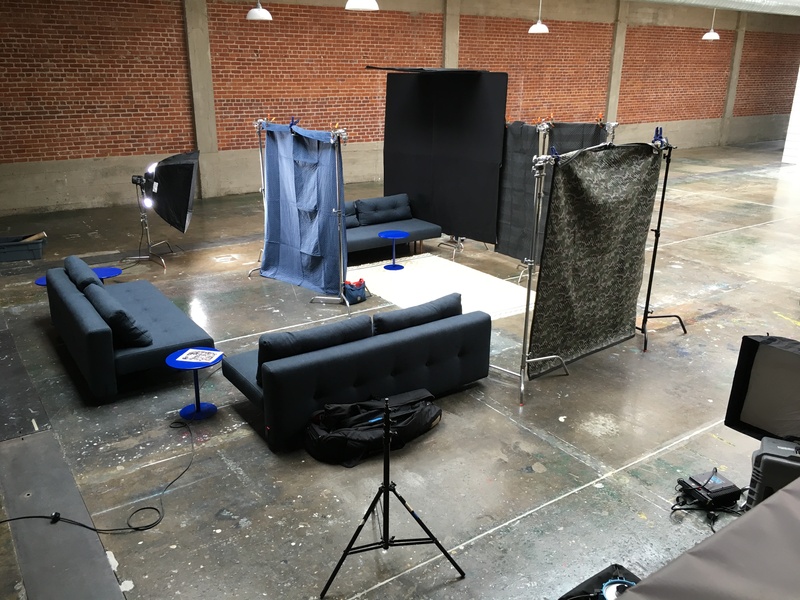 Versatility: The versatility of the space meant that the shoot was not confined to one shooting area. This allowed the creative team and videographer to find new vignettes onsite to tell their story. Raw Beauty: The steel, cement and brick paired well with the worn work boots and hipster flair of the mechanics Gearshift interviewed. 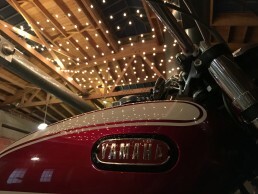 The market lights created a romantic glow on the chassis of the motorcycles. Natural Light: Natural lighting from the skylights kept a natural and neutral light all day. This meant the team didn’t need to change, modify or amplify the lighting to make people and products look great. 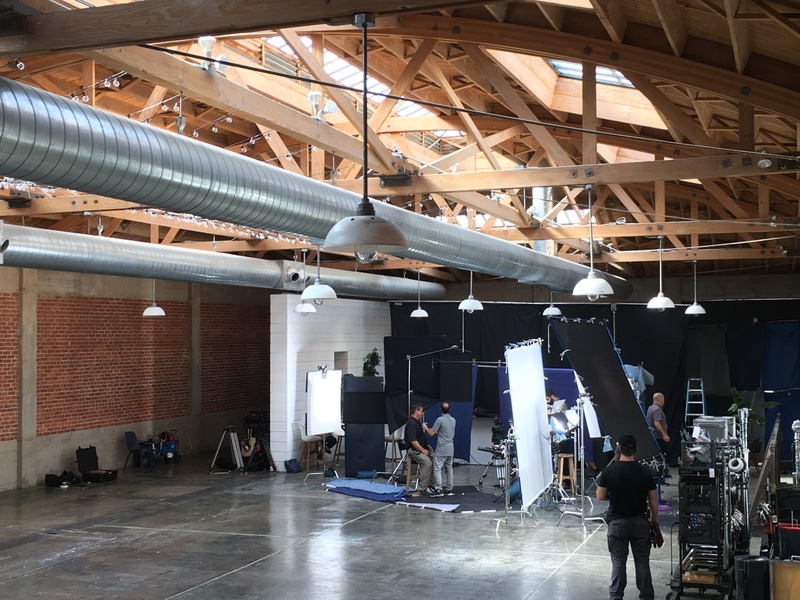 Logistics: Easy load-in and access to onsite parking meant the crew spent more time on the shoot, not the logistics of parking. Find the truth of your product through the environment it inhabits. 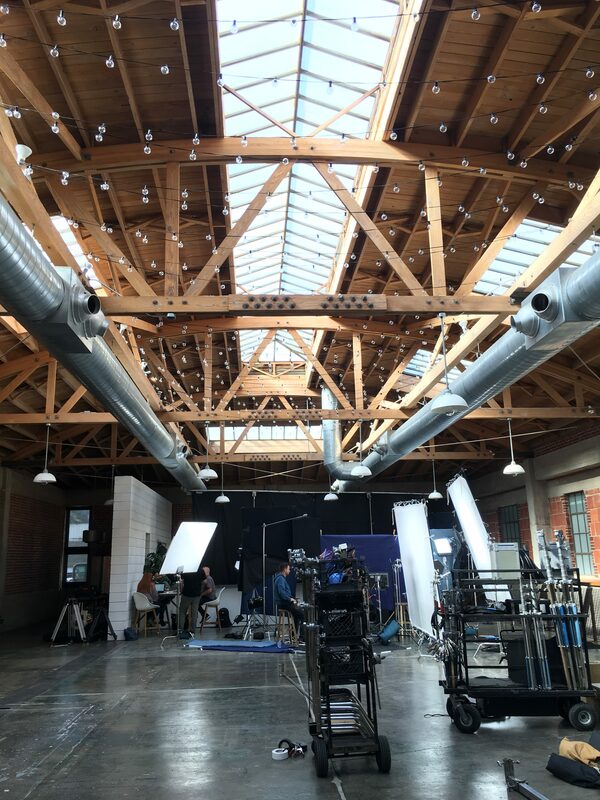 Visit us at Sandbox, in San Diego’s East Village, to see how you can bring your video and photo shoots to life.